Tomorrow’s the day! We can’t wait to release the new ‘Reception Collection’ from Lauren Elaine Bridal! Be sure to visit the Lauren Elaine Official Site tomorrow morning, at 9:30amPST, for the launch of the new collection and 27 page lookbook! If you subscribe to our newsletter, (or if you’re already subscribed) you’ll also be receiving a special promo code good towards any ‘Reception Collection’ style, for a limited time! About the Reception Collection: We’ve created this collection in direct response to a growing demand for non-traditional wedding gowns. Whether it’s a dress for the first dance at a wedding reception, or a dress for the bride who’s opted for a civil ceremony, weddings and related celebrations come in all varieties, and we really wanted to embrace that. 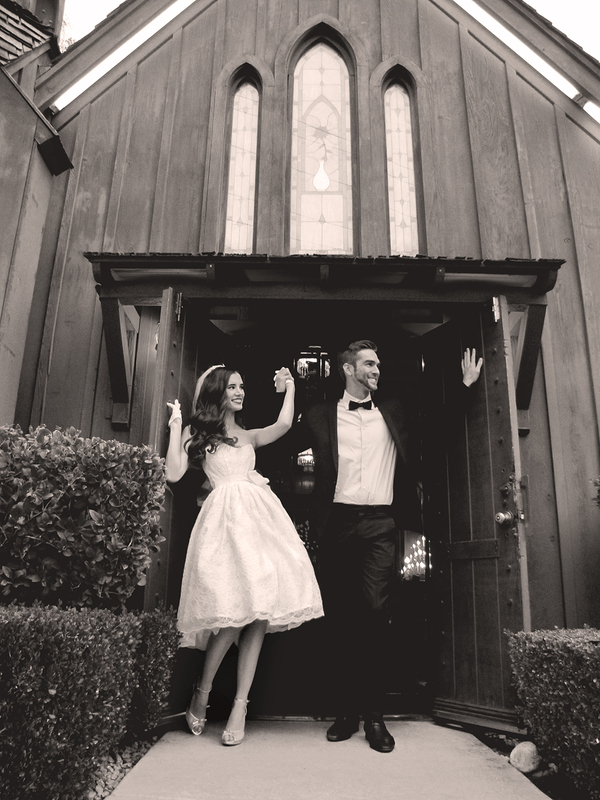 Many brides don’t want to wear the same dress they wore for their ceremony. The reception is all about the celebration. It’s a party! And the ‘Reception Collection’ offers bridal dresses that are fun to wear, and are perfect for the post-nuptials festivities. The femininity and overall prettiness of 1950’s silhouettes have always been a favorite of mine. I wanted to capture that lady-like elegance in the ‘Reception Collection,’ while keeping the looks wearable and flattering on all shapes and sizes. Along with the easy-to-wear A-line shapes and tea-length hemlines, the ‘Reception Collection’ boasts lady-like charm with luxurious textures and details usually reserved for gowns of higher price points– and lady-like names for each of the four initial styles: the “Priscilla”, the “Shirley”, the “Lana,” and the “Margaret.” The “Shirley” features a signature ombre tulle skirt and bodice, available in 3 colors (Blushing, Mint-to-Be, and Something Blue.) Swarovski crystals and three-dimensional embroidered flowers pepper the cropper-mermaid silhouette of the “Margaret,” with French corded lace and satin adorning the more classic “Priscilla” and “Lana” styles. Be sure to subscribe to our newsletter at Lauren Elaine Online and look for the launch of the Reception Collection tomorrow!